Amen. 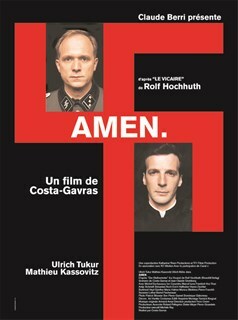 examines the links between the Vatican and Nazi Germany. 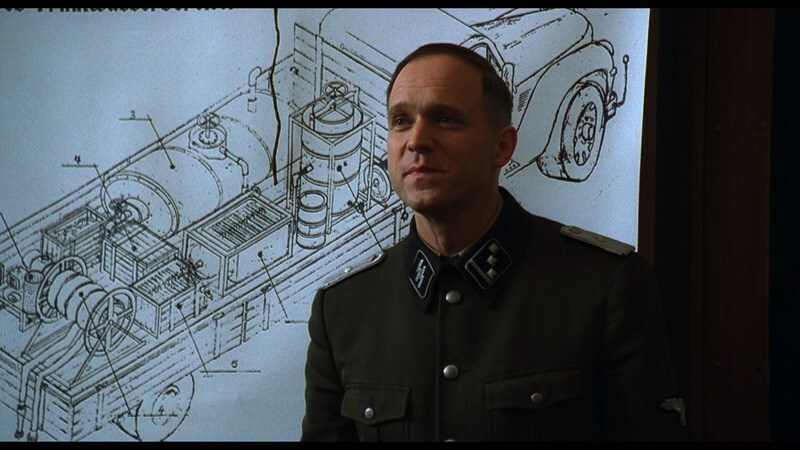 The central character is Kurt Gerstein (Ulrich Tukur), a Waffen-SS officer employed in the SS Hygiene Institute, designing programs for the purification of water and the destruction of vermin. 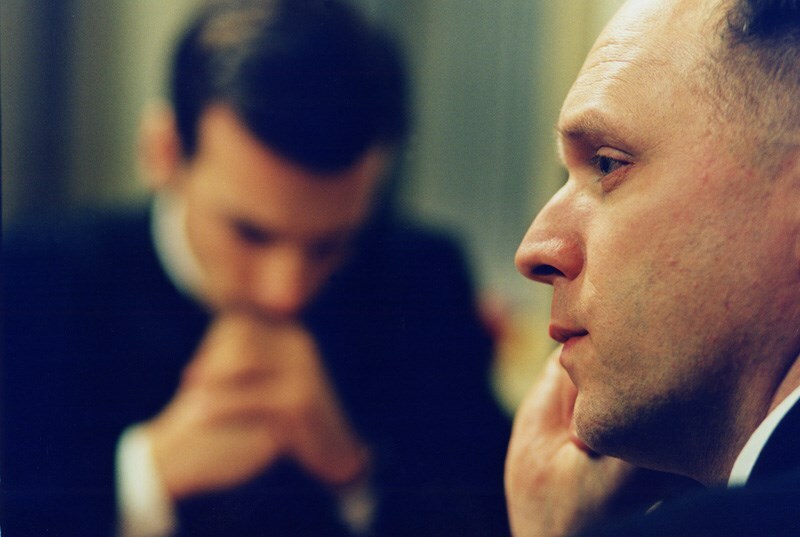 He is shocked to learn that the process he has developed to eradicate typhus, by using a hydrogen cyanide mixture called Zyklon B, is now being used for killing Jews in extermination camps. 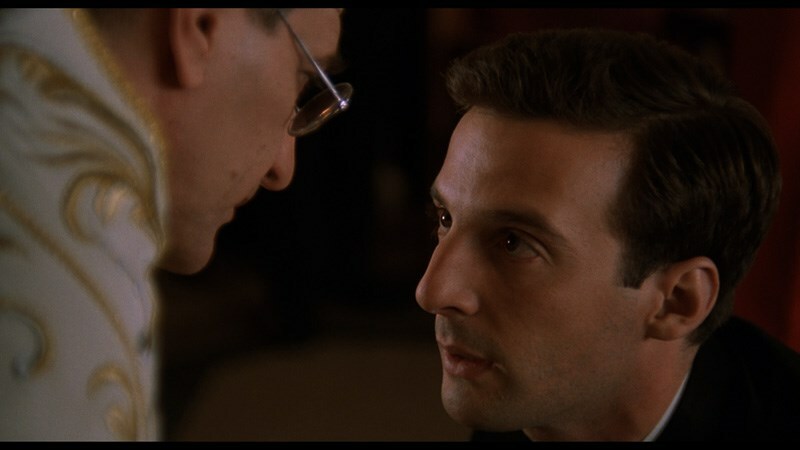 Gerstein attempts to notify Pope Pius XII (Marcel Iureş) about the gassings, but is appalled by the lack of response he gets from the Catholic hierarchy. 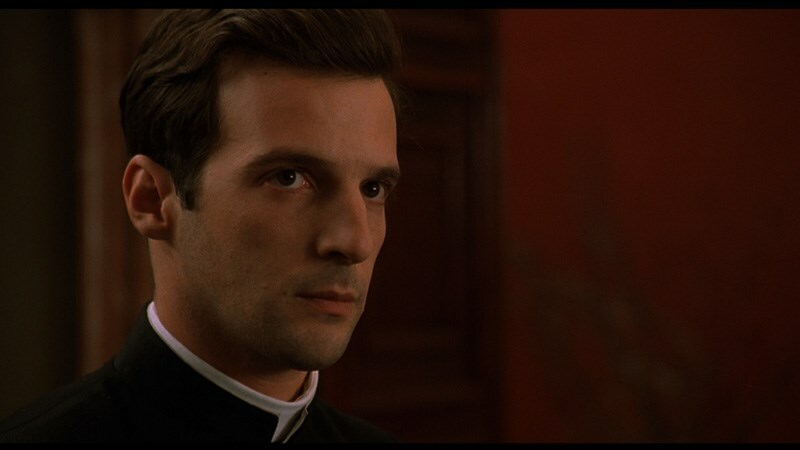 The only person moved is Riccardo Fontana (Mathieu Kassovitz), a young Jesuit priest.